Is USB-C going to take over the Surface lineup? If there’s been one weakness of the Surface tablet series, it’s been a lack of available expansion ports—a shortcoming Microsoft addressed with the Surface Dock. But three years after the latest Dock iteration was announced, Microsoft has revealed a new USB-C dongle is in the works, probably conceding that no new Docks are immediately forthcoming. Tablets like the Surface Pro (2017) boast a single USB 3.1 Type A connector, and that’s largely it as far as expansion is concerned. Microsoft originally addressed Surface’s I/O shortcomings with the Surface Dock, a $200 expansion option Microsoft announced in 2015 that included four USB 3.1 Type A ports, a gigabit ethernet port, an audio-out connection, and a pair of miniDisplayPorts capable of driving 4K-resolution displays. Though it monopolized the tablet’s proprietary Surface Connector interface for power and I/O, the Dock nevertheless provided a solid, dependable I/O solution. 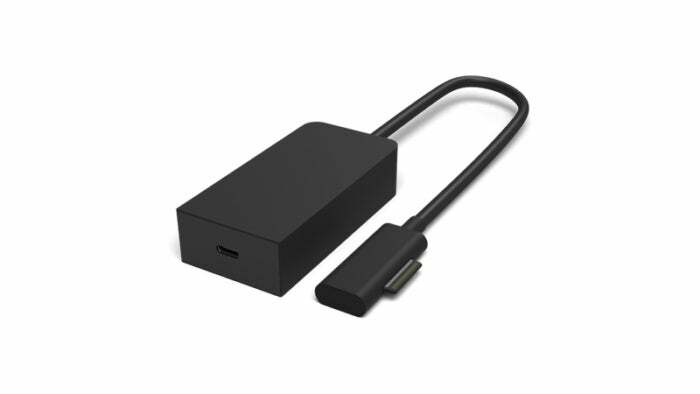 Microsoft's Surface Connect to USB-C Adapter. But because the new dongle will monopolize the Surface connector—and provide only one USB-C connector, to boot—that leaves the user at a loss if they want to connect to more than one device. Today, that means buying a USB-C I/O expansion hub. While there are dozens of inexpensive options —Amazon offers an AmazonBasics USB-C hub with three Type A ports plus ethernet for $15; or this model ($60 on Amazon) that adds HDMI and a card reader—you’ll still end up with dongles upon dongles. Microsoft’s Surface Book 2 is the only portable Surface device to include a USB-C port. What’s unclear is whether Microsoft is providing the dongle as a sop to those who are investing in the USB-C interface and peripherals, or whether Microsoft sees USB-C as a true replacement for the Surface Connector. 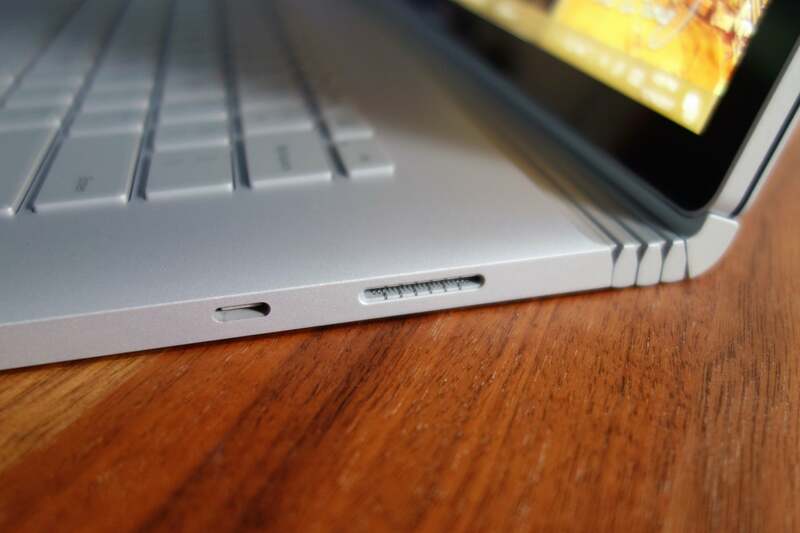 The latter argument is a simple one: For new iterations of the Surface Pro, why not replace its proprietary interface with the neutral USB-C connector? The one wild card in all this is that Microsoft has never really come clean about what its Surface Connector can or can’t do, precisely because only Microsoft devices interface with it. The Surface lineup doesn’t publicly support Thunderbolt, the high-speed I/O interface that uses USB-C as a physical connector. USB-C cables that support the USB 3.1 Gen 2 protocol can support up to 10Gbps of data—but a USB-C cable driven by Thunderbolt can support 40Gbps, enough for a pair of 4K, 60Hz displays. If Thunderbolt goes beyond the Surface Connector’s own capabilities, it’s an argument that Microsoft should put the Surface Connector out to pasture and adopt Thunderbolt instead. It will be interesting to see exactly what you’ll be able to do with the new USB-C dongle when it finally ships. Why this matters (to me): The rumored USB-C hub makes the three-year-old Dock seem even more neglected—or at least, a product with much potential untapped. Personally, I’ve always wished Microsoft would create a version of the Surface Dock that incorporated a GPU, so I could enjoy a lightweight, productive tablet on the go, then use it for entertainment when docked at home. It might be too soon to declare the Dock dead, but Microsoft seems to be implying that existing USB-C hubs could certainly replace them. This story was updated at 4:01 PM with confirmation of the USB-C adapter from Microsoft's Web page.